Paul Dillinger	Head of Global Product Innovation, LS&Co. 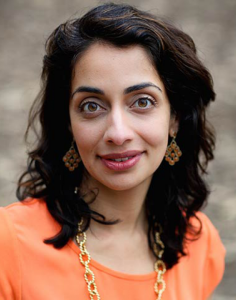 Founder and CEO, ARZU Inc.
Ayesha (@abarenblat) is a social entrepreneur with a passion for building sustainable supply chains that respect people and our planet. With over a decade of leadership to promote social justice and sustainability within the fashion industry, she founded Remake to ignite a conscious consumer movement. Remake’s films, stories and immersive journeys rebuild human connections with the women who make our clothes. Ayesha is passionate about where things come from, who made them and what their lives are like. She has worked with brands, governments, and labor advocates to improve the lives of the women who make our clothes. She led brand engagement at Better Work, a World Bank and United Nations partnership to ensure safe and decent working conditions within garment factories around the world. She was head of consumer products at BSR, providing strategic advice to brands including H&M, Levi Strauss & Co., Marks and Spencer, Nike, The Walt Disney Company and Pou Chen on the design and integration of sustainability into business. 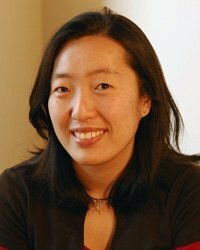 She holds a master’s in public policy from the University of California, Berkeley. Katrina is an experienced marketing strategist who strives to build the Remake brand using storytelling, creative thinking, and integrated marketing. A fashionista to the core, Remake allows her to fulfill two of her passions in life: public relations and socially conscious fashion companies. 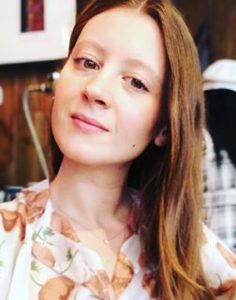 With over 12 years of experience working within the fashion industry, Katrina has worked as a talent agent, fashion editor, content creator, and marketing manager. These roles not only expanded her knowledge of fashion but they introduced her to many creative people within the industry. She found herself building relationships with top PR firms, designers, stylists, celebrities, photographers, editors, and bloggers, which she enjoys greatly. Katrina has a BS in Marketing from California State University San Marcos. Immediately after graduation, she moved to New York City where she spent the last 7 years working with fashion companies on brand management, media relations, and content creation. Summer is a Graphic Designer and Art Director with over 11 years of experience designing across all types of mediums and industries. She’s had the chance to work with amazing brands across the fashion, entertainment, tech and non-profit fields. Summer currently runs her own Graphic Design studio, Williams & Kunst. She has a Bachelor’s in Graphic Design and minor in Ethnic Studies from Cal Poly, San Luis Obispo. From a young age, Summer’s had a passion for educating herself on all matters of diversity, sustainability and human rights. Remake gives her the opportunity to combine two of her greatest interests—graphic design and social awareness. Summer enjoys cultivating strong partnerships with like-minded individuals who are looking to tell their story in an impactful way. Jessie joins Remake where she researches brand and product compatibility against Remake’s rigorous criteria for the conscious fashion collections and builds brand partnerships for Remake approved brands. 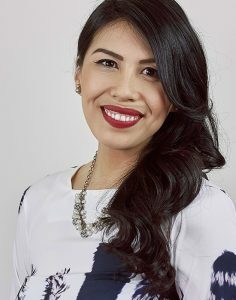 Her background is in Business and Human Rights research and she has consulted for ethical fashion brands including Women Worldwide, AAKS, and Symbology Clothing. Jessie earned her Master of Science in State, Society, and Development from SOAS University of London. She enjoys traveling around the world, reading, and baked goods. As Content Manager, Eleanor pushes forward the depth, breadth and visual identity of Remake’s live events and content. She’s focused on telling engaging stories that humanize the fashion supply chain to grow the Remake movement. 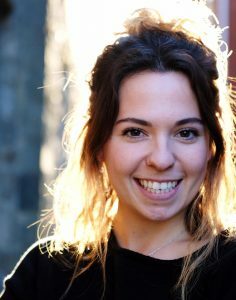 Eleanor has over 7 years of marketing and business development experience in the creative industry. She’s worked alongside designers, architects and artists around the world. Eleanor earned her BA in Philosophy and Architectural History at Boston University, where she did her thesis on aesthetics and ethics. Here she developed her understanding that the material things we choose reflect our values. As the Ambassador Program Manager, Sam supports a growing community of Remake Ambassadors, individuals working across the fashion industry and in their local communities to make fashion a force for good. She is narrowly focused on empowering the next generation of sustainable fashion and women empowerment advocates. From TOMS to fair trade to grassroots advocacy, Sam has spent her career at the intersection of social impact and business, knowing full well that without informed, empathetic consumers the fashion industry will not change. 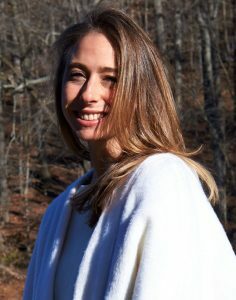 Sam holds a BA in Textile and Apparel Manufacturing from the University of Missouri, and an MBA in Sustainable Management from Presidio Graduate School. Alongside Remake, Sam is a managing partner at qb., a purpose-driven consulting firm helping clients create and implement sustainability and diversity and inclusion strategies and communications. Tosin Adeniyi, @tosin_adeniyi13, is an aspiring sustainable fashion designer who fell in love with fashion at a very young age. The paper fashion kits overtook her house since she was able to cut construction paper. After becoming vegan and looking further into the issues with the environment, she decided that she needed to find a way to help make a change in the fashion industry. That’s when she decided that she wanted to make sustainable fashion cool and start her own small business line, @adeniyidesigns. She’s now partnering up with a fellow vintage lover to create a vintage clothing business with one of a kind vintage finds. Remake gives her a platform to share her values with a like-minded creative community to grow the sustainable fashion movement. 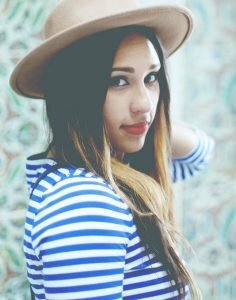 Bella Dina is a singer/songwriter and a content creator on instagram @ladinabella. She helps ethical business, brands, and restaurants boost their values online. She tells her stories through pictures to inspire her audience, and recently started her e-commerce for eco-friendly and sustainable goods called @EcoLand. It’s a store with the hope to build awareness and lifestyle that benefits everyone, so we can co-create a better future. Florina has a background in corporate communications and digital marketing, consulting for a diverse range of companies and projects. Her long time passion for fashion and a growing interest in the circular economy has recently led her in a new professional direction. She enrolled in courses like Product Design and Sustainable Luxury Fashion at London College of Fashion and joined workshops and conferences on various topics such as the future of fabrics, waste management and more. Her next project includes launching an online platform in Romania dedicated to sustainable brands with a dynamic educational component. After years spent building her own fashion label from the ground up, a family tragedy led Dina Chavez to reevaluate life – and business – as she’d always known it. Her sister was diagnosed with Uterine cancer at 35 and while Dina became her sister’s primary care giver she began to research the effects of chemicals in our clothing. From reading multiple health journals and reports, Dina learned about potential health hazards that could be caused by toxins in our clothes and knew the ethical action to take would be to re-brand her fashion label, SixChel. Dina Chavez is now creating an ethical fashion brand using sustainable, non-toxic fabric for the modern woman on the go. Being a Remake Ambassador helps Dina reach her goal of educating others about what goes into making fabric, the clothes we wear and alternatives to old standards in the fashion industry. Meeting and networking with other like-minded individuals is a great way to expand her mission. The growth of Remake and its ambassadors gives the sustainability community a greater platform and Dina is just beyond excited to be a part of it. 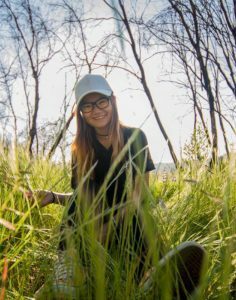 Vivian is a filmmaker and nature-lover who is currently developing a long-form documentary about the world of sustainable and ethical fashion. 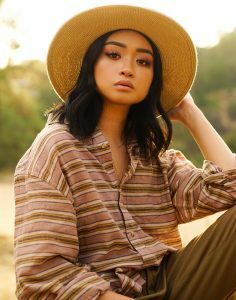 Fashion has always been a big part of Vivian’s life, but it wasn’t until she came across the term “sustainable fashion” that she realized what fast fashion was doing to people and the planet. Since then, she has immersed herself in researching the topic, gaining insight from trailblazers, and spreading what she has learned with the people around her. Vivian became a Remake Ambassador to join a community of like-minded sustainable fashion advocates, and be part of a team effort to make fashion a force for good. She aims to leverage the power of media to influence positive change and hopes to influence more Asian representation in the sustainable fashion space. 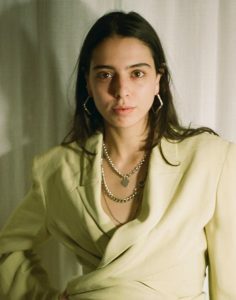 She is excited about the opportunity to put on and participate in larger scale events to further the cause of sustainable fashion, especially among her family and friends. 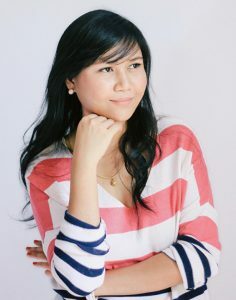 Sheila is a sustainable fashion advocate, graduate of Business Economics, a mother, wife, banker and is one of the co-founders of Forth Co – a startup enterprise promoting sustainable fashion in the Philippines. She was once a shopaholic, who shopped the trends at fast fashion brands for items that she didn’t really need. She first became aware of the negative impacts of the fast fashion industry through Fashion Revolution and the documentary film, True Cost. Sheila believes that it is time that we consider making better buying choices to save planet earth, and hopes that through her work, she is part of the solution. Izzy is a Welsh-born Psychology student living in Bristol, UK. Izzy grew up tearing through Vogue once a month and quickly developed a love for all things fashion. In recent years this love led her deeper into the depths of sustainable fashion and an awareness of the fast fashion world. She began to realize the world around her was thriving off the fact that they could have a cheap (but pretty) dress delivered next day regardless of the process. This kick-started her to spread sustainable fashion among not only her friends but the rest of her community, her city and our world. When Izzy stumbled across Remake for a project on sustainability, fashion and empowering women – she found a perfect match to her passions for raising women up and addressing the elephant in the room that is fast fashion. She is so excited to see the movement make waves across the world. Heidi Altree, daughter to entrepreneur parents, grew up believing two truths: she would be successful, and she would change the world. What she didn’t know is she would find success in Technology Sales, and activism in sustainability. In fact, until a couple years ago Heidi didn’t even know there was a such thing as “Sustainable Fashion.” It was by way of her love for animals, a plant-based diet, and a failed attempt to launch a vegan shoe line that Heidi learned about sustainable fashion. She realized if she wanted to save animals, and the planet, she had to think bigger than vegan shoes, she had a find a way to socialize sustainability. Heidi launched Amare by Heidi; a digital lifestyle magazine focused on sustainable living. From fashion to nutrition to physical & mental health, Amare by Heidi tackles it all. As an Ambassador for Remake, Heidi hopes to use her platform to spread the Remake message and introduce new and exciting sustainable brands to Remake. Tere is a founder of a sustainable fashion brand that sells reclaimed and repurposed thrift clothing. She is a big fan of DIY and is always on the lookout for ways to make fashion for good. 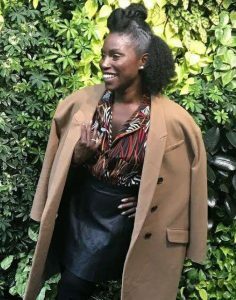 Aside from working on her brand, she is currently a volunteer researcher on projects that aim to measure the impact of the fashion and the second-hand clothing industry on the economy and environment. 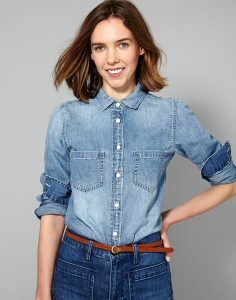 She found Remake through a fellow ambassadors account and immediately connected with the thought of ‘wearing your values’. Ankur is a designer and photographer, as NYC Ambassador Ankur helps build Remake’s visual identity through branding, fashion photography, and graphic design. He holds two BA degrees in Molecular Biology and Art Practice from the University of California, Berkeley. 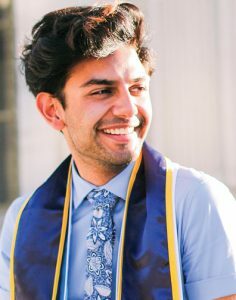 Alongside his studies, he has spent his time collaborating with fashion designers on ad campaigns and editorials, designing logos and branding materials for startups, shooting runways during NYFW, and teaching photography and art through UC Berkeley. Born and raised in Toronto, ON Joss graduated with a degree in Broadcasting and Film. With over 9 years of experience working in media, she is a full-time television producer in Los Angeles and the founder of the digital publication Seek Minimal. Seek Minimal is a digital publication where the conscious shopper can discover sustainable brands and improve their mind, body, and spirit. They support creators who share the same ethos on ethical and organic products and give them a platform to be heard. Seek Minimal’s goal is to share what we care about to help you lead an open-minded, happier, and more conscious life. Joss is excited to be a Remake Ambassador to connect with like-minded creators, movers and shakers to turn the fashion industry into a force for good. Anna worked in Management Consulting for over a decade and after having her first son in 2017, she decided it was time to pursue her passion in sustainability. She went on to further her education in sustainability, and during her research she discovered fashion’s negative environmental and social impact. She grew up in New York City where the fashion industry was ever present, so this industry resonated deeply with her. 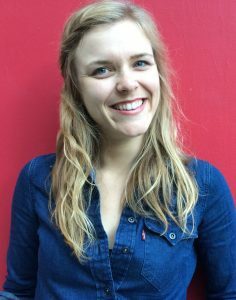 In 2017 Anna earned her certificate in Sustainable Design Entrepreneurs from the Fashion Institute of Technology (FIT) and in 2018, Anna co-founded The Artesao, with Vi Rowshankish. The Artesao is an education-driven marketplace where consumers can reconcile their love of fashion with conscious living. As a Remake Ambassador, Anna is excited to be part of a diverse community; to expand her network and inspire consumers to take a more active role in understanding the story behind their clothes. Zakiya is the Boutique Manager for Dress For Success Seattle, the organization who enables women to achieve economic independence by providing a network of support, professional attire and development tools to help them thrive in work and in life. As Boutique Manager, Zakiya ensures all donations are adequately collected, sorted and curated to meet the needs of the women they empower daily. She also manages sales for the quarterly fundraiser that the Seattle affiliate has become so well-known for. In addition, she is the Founder of The Chayah Movement, a textile re-directing hub that supports resale curation, upcycling, re-purposing and donations that support multiple non-profits in the Seattle area. Zakiya learned about the Remake Ambassador program in a sustainable fashion Facebook group and after reading about the organization and she saw it as a natural fit. 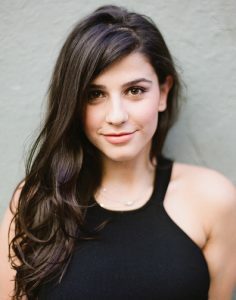 Sofia Grace (@sofilovita) is an actress, model, environmental activist, and co-founder of Greenheart Market, an online earth-conscious community and marketplace. Having grown up in the foothills of the Sierra Nevada Mountains, Sofia is influenced by her family owned natural foods store, Greenheart Market. Because of their business, her childhood was full of nature and earth-conscious products that help sustain and regenerate our resources. 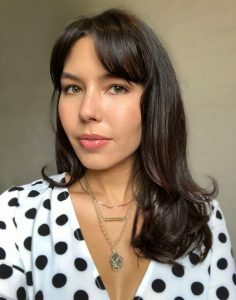 Today through @greenheartmarket, her online modernized platform of her parents brick-and-mortar, Sofia connects individuals, small businesses, environmental protectors, humanitarians, and entrepreneurs. Born in New York and raised in New Jersey, 40 minutes from the city and the Shore, Molly is currently based in San Francisco. She earned her BFA in Fashion Design at Washington University in St. Louis in 2015. Currently pursuing a graduate certificate in ethical and sustainable apparel business, her focus on considering design and apparel within the context of social and environmental impact led her to Remake. She loves all things materials and textiles and in her personal design project, Bluestone Loft, works to utilize quality textiles in a sustainable and versatile way to create products that remain current from season to season. Alice became interested in sustainability a little over a year ago when she was trying to sell her old jewelry online. She started looking for places to sell used jewelry and learned a little about sustainable jewelry in the process and how it’s a better alternative to newer brands. She began wondering why everyone didn’t just buy sustainable jewelry instead of new brands that don’t source things carefully. It was then that she began researching brands and decided to start her sustainable jewelry blog, Goodbern. On her blog she recommends brands, reviews products and shares her life. Alice has enjoyed writing and learning about the slow fashion and sustainable fashion industries in the past few months. She is really happy to be apart of the Remake team! Robyn is a marketing & communications professional who believes in the power of fashion to do good. She works with brands to identify their unique story and develop their community through content creation, influencer & brand partnerships, and events, and seeks to apply her 6+ years of experience in marketing, PR, e-commerce, and retail at Rent the Runway, Red Bull Media House, Revo Sunglasses, and Health Magazine to inspire other women to be more conscious consumers. Robyn learned about Remake while chatting with other women who work in sustainable fashion, and is excited by its mission and movement because it gives women the resources to start making small, yet impactful changes in their everyday lives. 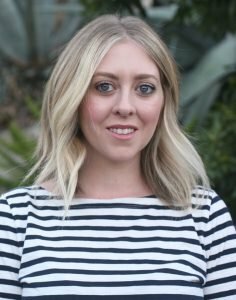 Briston is a seasoned marketing professional with nine years of experience in building brands across the hospitality and fashion industries, including brands such as Ann Taylor, Autograph Collection Hotels, Charming Charlie, LOFT, and Tribute Portfolio. Her specialties include brand, retail, media, and digital marketing and she plans to leverage her expertise to help grow the Remake movement. 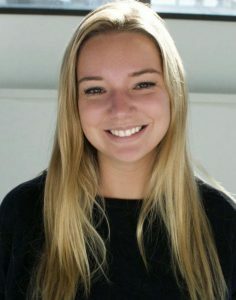 In addition, Briston co-founded an eco-friendly candle company in 2014 and her products were sold at many wholesale partners including Whole Foods. She continues to pursue sustainable education and is currently enrolled in the Sustainable Design Entrepreneurs program at FIT. Laurie has a background in wellness consulting and healthcare informatics. Her interest in sustainable fashion developed out of her concern for health – the health and well-being of the factory workers, as well as the effects on our health of the treatment and materials used in making the clothes. She has begun to change her habits by buying fewer clothes that she will wear longer and by shopping in thrift and resale shops more often. Laurie became a Remake Ambassador to help spread the word of sustainable fashion in Texas. She believes that many of her friends and acquaintances would be interested in supporting this cause and changing their habits if they knew how. Aiming to heighten the concept of sustainability through fine art, Ashley is a New York based artist & creative director passionate about connecting the two worlds. With a background in fashion photography and large scale production she actively chose to work with sustainable brands working towards a more transparent fashion agenda. This is when she found Remake! Currently, Ashley is working on an art collective that connects sustainable brands with fine art to create exhibitions & events. Shawnee Badger (@shawneebadger) is one of those few LA Natives. 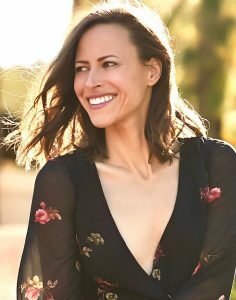 A SAG AFTRA actress, internationally published model represented by Role Models Management, and an activist within the world of progressive politics, Shawnee promotes environmentally conscious living and strives to elevate the political consciousness of her audience on social media. Shawnee believes we must live our politics to the best of our ability and choose people over profits and compassion for others over ourselves. Currently a delegate to the California Democratic Party, Shawnee authored and passed a resolution and implemented language into the 2018 California Democratic Party Platform about the need to shift to plant-based living, as animal agriculture is a leading driver of the climate crisis. This was the first resolution of its kind in the country to pass a state political party and the 2018 CDP Platform is the first in the country to talk about veganism. 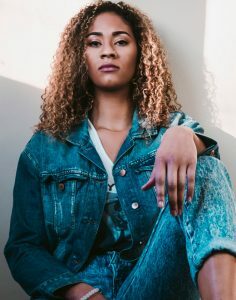 Through strides in the world of acting and modeling, her number one passion, Shawnee hopes to continue using her platform to inspire her audience and be a symbol of sustainability and environmentally-conscious living. She is so excited to be a part of the Remake family. Growing up in Sweden, Anne Therese developed an early appreciation for nature that later led her to seek ways to live a sustainable and eco-conscious life. Besides being a self-proclaimed “Eco-Warrior”, she’s a former NYC model and the Co-Founder of Role Models Management, an ethical modeling agency on a mission to redefine what it means to be a model. 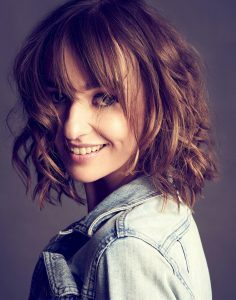 She’s also the host of Podcast Hey Change, where she inspires people to embrace curiosity and positivity, as well as promote an ethical and sustainable way of living. Anne Therese decided to become a Remake Ambassador to help further the message of ethical, just and sustainable fashion to the masses, and to be part of empowering women in the fashion industry all over the world. From garment worker to models and consumers! Sandra recently became more and more aware of how much she was consuming fast fashion and of how much of a hole she was helping to dig, by both filling up landfills with her used and thrown-out fashion, and her wallet. She decided that it was the perfect time to change her ways in life. She became a Remake Ambassador to join a community of creatives who consume responsibly and to help others be more aware of their habits, too. 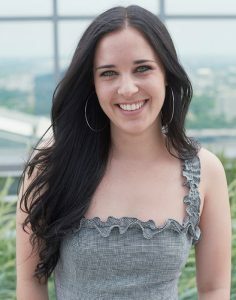 Amy has worked in art direction and graphic design in the D.C. area for the past 9 years. She currently works as the in-house Art Director for the U.S. Green Building Council. USGBC is committed to creating a sustainable future through green buildings and communities worldwide, so Amy is no stranger to the sustainable community. 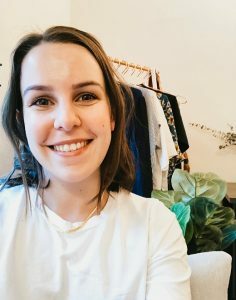 In 2019 Amy set some goals to focus on her personal fashion choices and learn more about sustainable and ethical fashion. And as a Remake Ambassador, Amy is taking her commitment to the next level. Lindy Fox is a luxury knitwear designer based in New York City and Los Angeles. Her childhood growing up on a farm in California shaped her practice to become more conscious over the years. For her own brand she is most interested in zero-waste techniques and ethical practice as well as upcycling within the fashion and textile industries. Lindy also freelance designs for prominent brands in the womenswear space and educates about sustainability at any chance she gets all the while challenging her own methods to become better. In becoming a Remake Ambassador, she can take her message further. You can follow her work on Instagram, @Lindy__Fox. Emily Long is a recent Drexel University Design and Merchandising graduate and currently works in the fashion industry in New York City. At a young age she was raised to respect people, the earth and the resources it provides. As she became more immersed in fashion, it upset her to see the negative impact consumerism has on not only the planet, but the people. 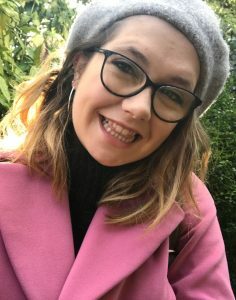 After interning for ethical jewelry brand ARTICLE22 and summer school at the London College of Fashion, Emily launched @greeneyeforfashion to highlight sustainable brands and information about sustainable and ethical fashion to her followers. Being a part of the Remake movement gives her a place to meet and collaborate with like minded creatives in order to exchange ideas for a brighter future. 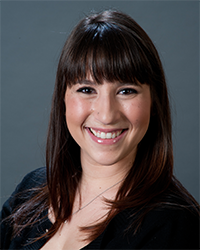 Katie is a communications professional from the San Francisco Bay Area. Currently, she manages digital communications and marketing for BSR, a nonprofit organization that works with business to create a just and sustainable world. It is through her experience at BSR that she found Remake and her passion for empowering women across value chains. One of her missions in her career is to tell stories that raise the voices of marginalized groups and empower people everywhere to live to their fullest potential. And, as a self-proclaimed fashion and lifestyle junkie, she is excited to more fully work the values and lessons of Remake into her personal life. Katie holds a B.S. in Environmental Policy Analysis and Planning from the University of California, Davis. Currently a senior at the University of Delaware, Nelly has been exposed to the dark side of fashion through her studies as a fashion merchandising major. She accompanied a professor to the annual Sustainable Apparel Coalition meeting, which opened up a world of opportunities and potential solutions that she realized she can bring to the fashion industry. Nelly first heard about Remake on the podcast, Conscious Chatter, when founder, Ayesha, was featured on an episode. Nelly herself was also featured on Conscious Chatter, speaking about the importance of sustainability in the fashion curriculum. 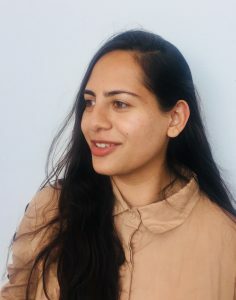 In addition to continuing remote work with Conscious Chatter, Nelly has interned at Nest, a non-profit who is creating a new handworker economy, prioritizing women’s worker rights, and increasing global workforce inclusivity. Ruby Veridiano, @rubyveridiano, is a fashion changemaker. 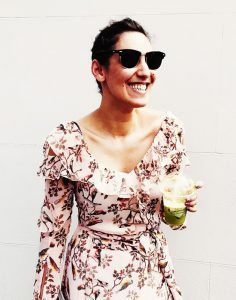 She is a writer, fashion correspondent and speaker whose work focuses on connecting the dots between women’s empowerment and socially-conscious fashion, as well as promoting diversity & inclusion in the fashion industry. 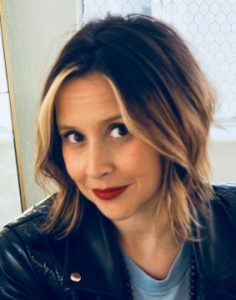 She is a contributing correspondent for NBC News, NYLON Magazine, and Mic.com, and has interviewed designers Anna Sui, Vivienne Tam, and Prabal Gurung, among other multicultural designers in the fashion industry. 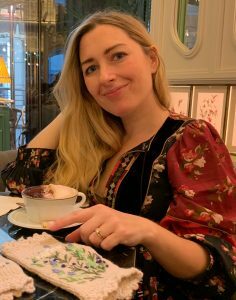 Ruby has worked on the social responsibility team of the Moët Hennessy Louis Vuitton (LVMH) Group in Paris, where she worked on global diversity initiatives. 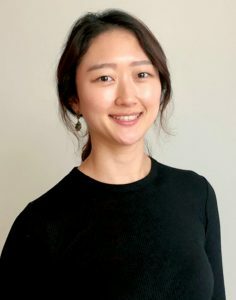 To build her own path to turn fashion into a force for good, Sarah moved to New York City from her home South Korea to study sustainable entrepreneurship at FIT. In South Korea she was raised practicing Buddhism, which included principles such as non-possession. The principle doesn’t mean ‘live as a monk’, instead it is the idea of not possessing what we do not need. Sarah had an issue with this: she loved fashion too much! After finishing her Bachelors in clothing and textiles, she started her fashion career in global mass manufacturing. But when she learned the true story behind fast fashion and her own footprint in the system, she became conscious of her fashion choices. Brana Dane is a model, sustainability advocate and activist. As one of the leaders of the game-changing “model mafia” based out of NYC, she co-produces and supports sustainability focused events for models. She was recently interviewed for her work by Eco-Age, the sustainability and communications consultancy founded by Livia Firth. Brana herself is a host for the global FNL Network on Amazon Prime and writes interviews for Bella Magazine on the change-makers of our time. As a Remake Ambassador, Brana wears her values and helps her friends, colleagues and a growing community of sustainability advocates do so, too. 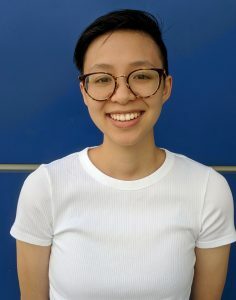 Allie joined the Remake team after her participation in Remake’s 2016 immersive journey to Cambodia, during her senior year at Parsons School of Design. Allie creates engaging and creative content for Remake through investigative pieces and vivid storytelling. 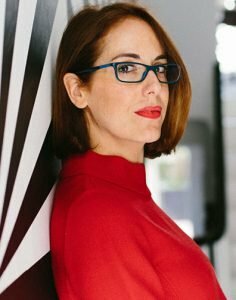 As both a journalist and fashion designer, she is able to tell stories on the industry and the need for ethical fashion from a unique perspective with thoughtful insight. Allie graduated from The New School in 2018 with degrees in fashion design and journalism. Her fashion design thesis celebrated the makers she met during Remake’s Made in Cambodia trip, as well as her own family history of seamstresses like her great-grandmother who worked in a doll clothing factory in the 1940s. 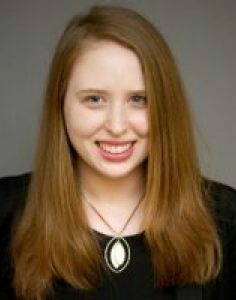 Allie currently works as a metro reporter for the New York Post, covering the five boroughs and beyond. 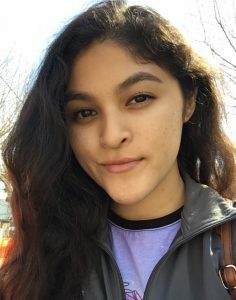 A class of 2020 fashion design student at California College of the Arts, Yesenia joins the Remake team after her participation in Remake’s immersive journey to Mexico. As an aspiring fashion designer, she integrates recycled and reused materials into her textiles and collections to give what others see as “waste,” a second life. Yesenia is first generation Mexican-American and her experience on the Remake journey helped her see first-hand how the fashion industry impacts the people of her mother country. There she met the women makers who find strength in themselves and in each other to fight for their essential human rights. Yesenia now channels that strength into her design practice, and hopes she can return to Mexico to apply the new fashion values she discovered through Remake. While studying fashion design at Parsons School of Fashion, Anh joined Remake on the 2016 immersive journey to Cambodia where they came face to face with the women who make our clothes. They completed their BFA the following year, with Remake as a defining experience guiding their commitment to working for change within the fashion system. 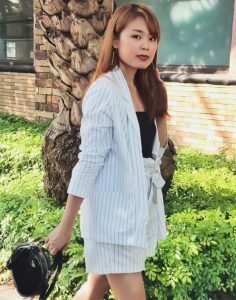 Anh currently works as a 3D specialist and designer at CLO Virtual Fashion, where they support brands and vendors in the adoption and implementation of 3D prototyping technology. Working at the forefront of fashion tech has allowed them to experience a broad view of the entire industry and a better understanding of how it’s sustainable future could form. 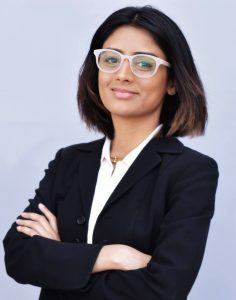 Neha Kusum Purohit first became interested in making an impact through sustainable fashion while researching USA based sustainable fashion for her MBA in Sustainable Business. Before earning her MBA, Neha designed and showed her own sustainable fashion line that used deadstock and natural, vegetable-dyed fabrics made in her hometown Jaipur, Rajasthan, Bharat (India). Originally from Ontario, Canada, Casey moved to New York in 2013 to study Fashion Design at Parsons School of Design. In her final year she joined Remake’s journey to Cambodia to pursue her study of ethical and sustainable fashion practices. Her thesis questioned traditional making and manufacturing practices and was supported with both her learnings overseas with Remake, and from the Kering Environmental Profit and Loss Pilot Program. Exploring how she could make a unique and impactful mark in this industry, her research proposed new fashion making systems that use sustainable and ethical material sourcing and labor practices. Casey is currently designing for SoulCycle in New York City, where she is bringing her expertise on ethical production and sustainability to her team in the active apparel industry, a category she is very passionate about. Josefina Munoz is a Colombian fashion design student at Parsons School of Design in New York. 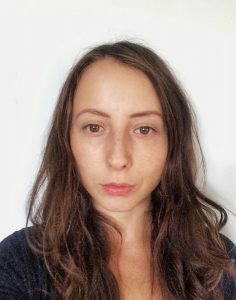 During the past year, she has focused in work with artisan communities in Colombia and Mexico, exploring in her practice the asymmetries of power in how the global fashion industry works with maquiladoras in developing economies. 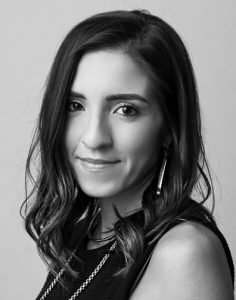 She is in her last year of her BFA and was selected to join Remake in the 2018 Made in Mexico journey, to understand the conditions of multiple artisans from around Mexico as well as artisans in Oaxaca. For a fashion system that benefits and works for everyone, she has applied her learnings from the journey into her thesis, for decolonizing relationships and advocating for global equality and justice. Alex first met Remake through her work in Net Impact’s ‘Wear It Wise’ campaign in early 2018, where she dove into the realm of textile waste generated by the global fashion industry. In the campaign, she focused on the means to empower consumers to combat waste through the power of their voice and conscious buying. 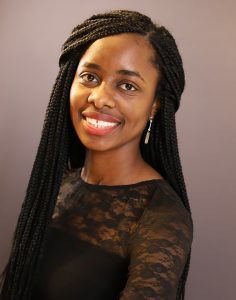 As a part of the team, she partners with Jessie Ampofo, fellow NYC ambassador, to research and analyze brands’ supply chains from an environmental, social, and governance lens. Through this work, she taps into her background in corporate retail, as well as her current experiences as a Corporate Responsibility Analyst at PVH and as a graduate student in the MS Sustainability Management program at Columbia University. While a Fashion Design student at Parsons School of Design, Yimin was selected for Remake’s Made In Sri Lanka journey inside garment maker communities to learn about the true human stories behind mass-produced fashion. During his awakening experience with garment makers inside their factories and boarding home, he realized the complexity of our fashion system and came away hoping to transform fashion into a force for good. 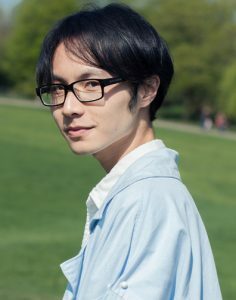 Yimin earned his BFA from Parsons in 2018 and soon after became a Remake Ambassador. As Ambassador, Yimin grows the movement by creating content through interviews, photography and critiques. He assists with event planning in New York, and translates Remake content for the Chinese-speaking audience. As an aesthetic and systematic experimenter of fashion, Yimin is developing his ethical fashion label, yiminism, to further the appreciation and influence of Chinese culture and craft with an ethical and sustainable business model. Ioli was born and raised on a mountainous region of Greece. She studied fashion at Parsons in New York, and wove in her experiences with a Greek all-women’s workshop that has been active since the 70s, which gives women the opportunity to work, be independent and support their family. To demonstrate the relevancy of one’s roots, she combined these two influences to explore where one comes from and one wants to go. Celeste Griffy has worked in art, design, and publishing in Los Angeles for the past ten years. Finding and fostering young talented artists and helping to tell their stories has always fueled her. Working with both contemporary and established fashion photographers, Celeste has published, exhibited, and placed their work in collections, galleries, and museums worldwide. She loved the endless challenge and excitement of working side-by-side with artists and helping their visions become reality. Where there’s a will, there’s a way and no project is too big or idea too creative to pull off. When she began to collaborate with documentary artists and filmmakers exploring social and environmental themes of consumption, class, and wealth distribution, her eyes were opened to the potential of sustainability. 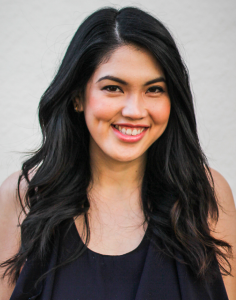 In 2016, Celeste began to pursue an MBA in Sustainable Management at Presidio Graduate School and is most interested in the cross section of design, sustainability, and the power of consumer behavior. She currently works on marketing and branding for an environmental consulting group in Los Angeles. On the weekends, she is scouring the Rose Bowl Flea Market for vintage finds or hosting backyard dinner parties with friends. Sajida Silva studies Fashion Design at California College of the Arts, a design school that emphasizes sustainability. Sajida is a first generation college student striving to make her community proud. Her design process places emphasis on feminism and socioeconomic issues within the United States and Latin America. Sajida joined Remake through their 2018 journey to Mexico. She plans to use her new insight about the fashion industry’s supply chain as part of her senior thesis and will hold onto her values after graduation when she becomes part of the industry. She will use her standing as a designer to uplift, advocate for and amplify the voices of marginalized groups within the industry. Inspired by the simple draping and layering of fabrics and textures from a box of mom’s old “dress up” clothes, Rebecca started staging fashion shows in her living room at age four. While pursuing post-graduate work at the Fashion Institute of Technology in NYC, she realized the power of this art form when leveraged with big business. Throughout her career working alongside luxury fashion designers, Rebecca has gained an intimate understanding of the complete product life cycle of apparel from design, to production, to the customer’s closet. After almost a decade of business-as-usual in the fashion industry, Rebecca realized that creating even the most beautiful things can be very ugly business. 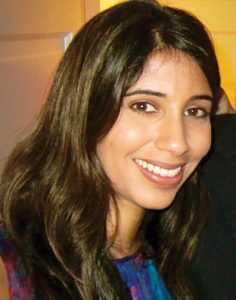 Eager to help create sustainable solutions, she began pursing an MBA in Sustainable Management at Presidio Graduate School only to realize that sustainability is only one piece of the puzzle. Empowering consumers to converse, ask questions, speak up, and challenge the apparel industry is the key to real change. Mallory grew up in a middle-class family in Salt Lake City, Utah. After both of her parents lost their jobs in the 2009 financial crash Mallory and her family quickly adapted to a more sustainable lifestyle. By implementing as many forms as reduce, reuse, recycle, along with dumpster-diving Mallory quickly realized how much is produced and thrown away on a daily basis. From that point on sustainability became more than a necessity. It became a passion. 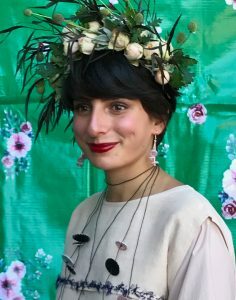 While still in high school, she apprenticed under a sustainable fashion designer and made a short documentary on anti-consumerism, interviewing activists, designers, and farmers who were taking actions towards a more sustainable community. The film showed in film festivals across the country. Mallory applied to the California College of the arts because of their dual focus on fashion and sustainability. In July of 2017, she won the Remake competition and traveled to Sri Lanka, interviewing the garment workers and activists pushing for visibility and equality. Her thesis collection looks at the excess “waste” available to designers, finding new beauty in materials that have been forgotten. 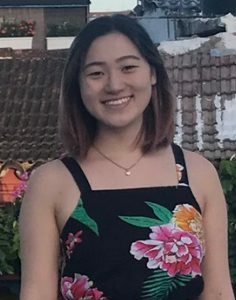 Sophia is currently a student at UCLA studying Business Economics and Global Studies. Ever since realizing fashion is her dream, she’s been making moves to get her foot in the door. On campus, she’s the Vice President of Unravel, a sustainable fashion club, and she’s also a volunteer for San Francisco Sustainable Fashion Week International. She hopes to move to New York after graduation to pursue a career in sustainable fashion! As Remake Ambassador, Sophia mobilizes the movement by wearing her values and helping others do the same. 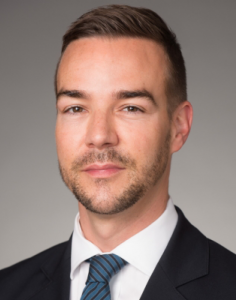 Alex Marchyshyn is a dual degree Master of Environmental Management and MBA candidate at Duke University focusing on the intersection of business, the environment and supply chain. Her goal is to work in the apparel industry to ensure that the clothes we wear are not destroying our planet. 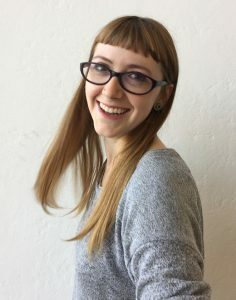 She is the creator of SustainableFashion101.com, a website designed to be a resource to help young professionals and college students take steps to become more sustainable without breaking the bank. 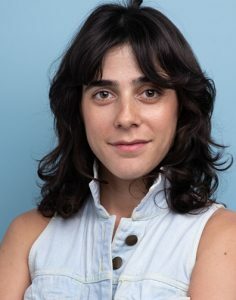 Before returning to school, she worked at Environmental Defense Fund in their EDF+Business division and with Edelman in their Business+Social Purpose practice. As the winner of Net Impact’s Wear it Wise competition, Alex joined Remake on their 2018 journey to Mexico. She plans to use her new knowledge of the apparel supply chain to educate consumers about more environmentally and socially sustainable options. 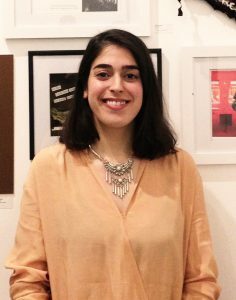 Misha Abbas is an artist and designer focused on garment construction, textile experimentation and socially engaged art as the core mediums of her work. Her current practice explores identity concentrating on South Asian and the Middle Eastern influences. Her process is research based and draws from historical narratives, clothing and artisan practices. Sustainability has been central in shaping her designs and situating the impact of her work on a global scale. Through the exploration of materials, making processes and site conditions, she looks at sustainability through the lens of a fashion designer and community artist–intersections that make her practice whole. She is Pakistani and was born and raised in Saudi Arabia. 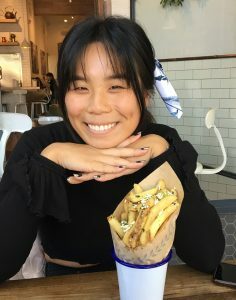 She is a class of 2019 student at the California College of the Arts, pursuing a double major in Fashion Design and Community Arts with a focus in Textile Design. Melissa is a sustainable apparel visionary. Growing up, she did historical reenactments at Sutter’s Fort in Sacramento where she started sewing at six years old. After learning about the social and environmental implications of the apparel industry in college she knew she could not be part of the unjust system. 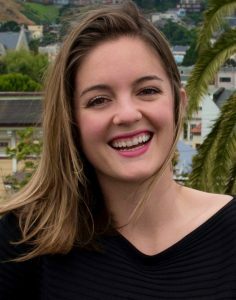 Currently, Melissa is a Sustainable Management MBA Candidate at Presidio Graduate School where she is also a Digital Marketing Coordinator. 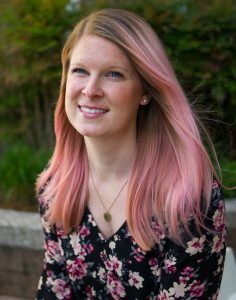 Before starting grad school she worked in the apparel industry for nine years in sustainability, product development, design, and merchandising, most recently at Levi’s Innovation Lab and at PACT Apparel. 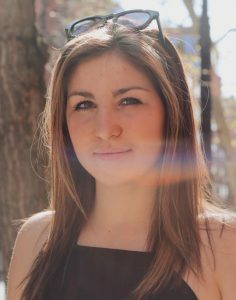 After graduation, Melissa plans on using digital marketing to shift how we as consumers purchase and care for our clothing. 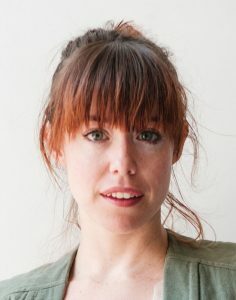 Laura Madden is a fashion advocate, model, and creator of Laura Madden Lifestyle, a lifestyle brand and blog that supports sustainable fashion brands and reports on the intersection of style, sustainability, and self-esteem. As an influencer, Laura creates purpose-driven content that merges style inspiration, sustainable shopping advice, and positively influences consumers to demand a responsible and sustainable fashion industry as the new normal. Her commitment to sustainable fashion comes from both an insatiable love of style and belief that fashion can be a force for good. 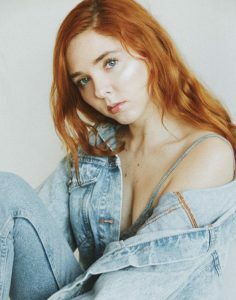 Laura has modeled for over twenty years and is represented by multiple agencies in the US including Role Models Management, an ethical model and talent agency based in NY & LA. 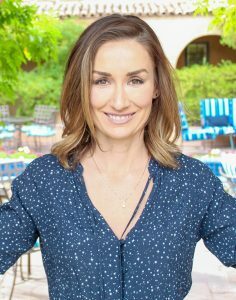 Laura is also the Development Director for Arizona Eco Fashion Week, the social media editor for Green Living Magazine, and a board member of San Francisco Fashion Community week, where she hosts their annual Sustainable Fashion Show. Joe is a technology marketing and creative advertising veteran of over 20 years, including positions as Head of Marketing at OnCue (funded by Intel and Verizon) and executive positions at Publicis Razorfish, Lowe Lintas, Duncan Channon and more. He is currently CEO of FCB West, the global strategic and creative lead for iconic brands Levi’s, Clorox and Hotwire. Vanessa Arelle is a connector, storyteller and creative actionist. A tech startup investor and social entrepreneur, in 2016 she founded TEENZAPP, a youth lead disruptive narrative media hub. She is a regular contributor for Vogue Mexico and Vogue Latin America. Vanessa was Head of Cultural Affairs for Mexico in the UK from 2011 to 2015, where she supported programs in art, culture, and heritage. And since 1997, Vanessa has been actively involved in philanthropic, fundraising and social development projects to further sustainability, diversity, equality and human rights. From 2009 to 2017 she was on the board of Art Production Fund, a member of Women for Women International Leadership Circle from 2013 to 2016, on the advisory board of the David Roberts Art Foundation from 2014 to 2016 and fellow at Legatum Institute from 2015 to 2017. 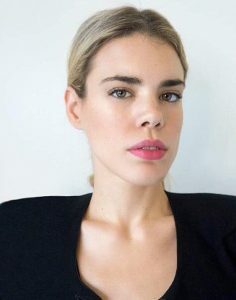 In addition to being an active board member of Remake, she currently serves as a trustee of Fashion Revolution, is a Strategic Cultural Advisor for Human Rights Foundation´s Oslo Freedom Forum and Advisory Board Member of London Business School’s Out in Business Club and their yearly EurOut Conference. As board member of Remake, Vanessa brings her creative storytelling skills to grow Remake’s content and conscious consumer movement. Head of Global Product Innovation, LS&Co. Following his passion for sustainability, Paul has been an integral partner with Levi Strauss & Company’s Social and Environmental Sustainability group to develop front-end methods for applied sustainability in the design process. Paul led the design team that created the Dockers® Wellthread collection, a result of a fellowship with the Aspen Institute. His recent collaboration with Google for the Jacquard jacket breaks ground in wearable technology through a durable, touch-sensitive fabric. Before joining LS&Co., Dillinger worked as a fashion designer and brand development specialist for 16 years at a variety of fashion houses in New York, including Calvin Klein and DKNY. 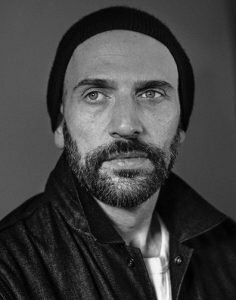 He has also served as a designer-in-residence for the Rhode Island School of Design through a program sponsored by Levi Strauss & Co.
Paul received his BFA in Fashion Design from Washington University in St. Louis. After graduation he moved to Milan as the first Fulbright Scholar in fashion design, researching the influence of emerging luxury markets on high fashion design directions and commercialization. Concurrent with this research, he earned a Master of Fine Arts from the Domus Academy in 1995. Paul is hailed by Fast Company as one of the most creative people in the fashion industry. As board member of Remake, Paul brings his passion for sustainable design to Remake’s immersive journeys and conscious fashion curation. Seema joins Remake’s board with 15 years as a product leader in consumer tech & marketplaces; 30 years as a world traveler; 7 years as an amateur photographer; 2 years as a mother. 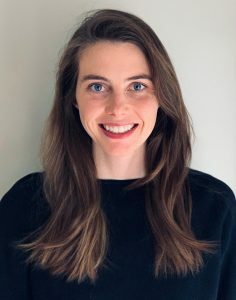 She currently work independently with for profit and non profit technology startups including Remake, Fast Forward and Angel List on all aspects of product strategy and process: defining vision, outlining objectives & KPIs, hypothesis-building, feature prioritization / testing, building lean product practices / processes, occasionally product delivery & hiring. She has formerly held product leadership positions at ebay, AngelList, TaskRabbit, and OPOWER and been awarded 9 US Patents. Jamie is focused on building the right connections, governance structure and policies to advance Remake’s mission. As a well-respected leader in philanthropy, she has worked across public, private and nonprofit sectors to empower youth and build inclusive economies. 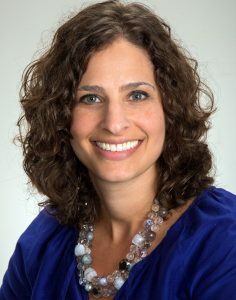 As the Executive Director of the Walter and Elise Haas Fund she is devoted to the fund’s mission to build a more healthy, just, and vibrant society. Prior to this, Jamie was Vice President at the S.H. Cowell Foundation, focused on grant-making to strengthen families and communities and advances economic stability. 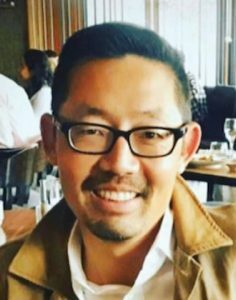 Jamie is deeply committed to civic engagement and is a visiting lecturer on philanthropy, nonprofit governance and social enterprise at UC Berkeley, Mills College and the University of San Francisco. 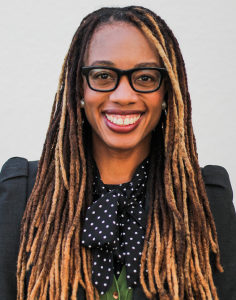 She currently serves as Board Chair at the Whitman Institute, which promotes social and economic equity through funding dialog and leadership initiatives. She is also Chair of U.S. Friends of CUSO International, a development organization that works to reduce global poverty. Jamie has a Master’s in Public Policy from the University of California, Berkeley and graduated from the University of Tennessee with Bachelors degrees in Political Science: International Relations; Spanish; Economics; and Humanities. Chad (@chadbolick) is an Executive Director in Morgan Stanley’s Philanthropy Management group. Based in San Francisco, Chad is responsible for providing customized philanthropic advisory services to private wealth management individuals, families, and family offices, as well as nonprofit, foundation, and institutional clients. Chad brings 15 years of experience in management consulting, international development, corporate philanthropy, and nonprofit fundraising to the team. Chad is an active board member of Remake, as well as an advisor to Fast Forward, a San Francisco-based incubator focused on nonprofit technology startups. Amanda Hearst is an activist and co-founder of the hybrid luxury ethical fashion retailer Maison-de-Mode. She is also the co-founder of finn2finn Alliance, a non-profit which advocates for animal welfare and conservation, and she sits on the Advisory Board of NEST, a non-profit committed to the advancement of global artisans. 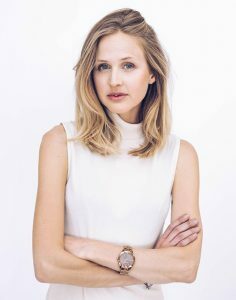 Hearst previously worked as a Market Editor at Marie Claire Magazine and is currently Contributing Editor at Town & Country Magazine. 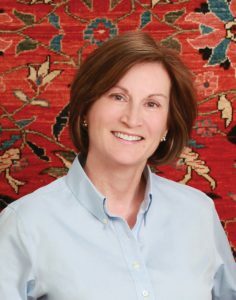 Connie K. Duckworth (@ckduckworth) is the founder and CEO of ARZU, which means hope in Dari, a non-profit organization that empowers women weavers in rural Afghanistan. ARZU is a shining example of holistic grassroots economic development employing 500 Afghans and supporting the eco-system of education, maternal health and community programs. She is a retired Partner and Managing Director of Goldman, Sachs, & Co., where she was named the first woman sales and trading partner in the firm’s history during her 20 year career. Connie brings her passion for ethical commerce as a sustainable way to lift women out of poverty, to Remake’s advisory board. She is also a Trustee of Equity Residential (EQR) in Chicago and a Director of Steelcase Inc. (SCS) in Grand Rapids, Michigan. In her philanthropic work, Ms. Duckworth is a Trustee of the University of Pennsylvania, an Overseer of The Wharton School, and serves on the boards of the Interfaith Youth Core in Chicago and NorthShore University HealthSystem, in Evanston, Illinois, where she was the first woman Chairman of the Board. She is a founding member of the U.S.-Afghan Women’s Council and a member of the Bush Institute’s Women’s Initiative Policy Advisory Council. The recipient of numerous awards for leadership, social impact and innovation, Ms. Duckworth holds an M.B.A. from the Wharton School and a B.A. from the University of Texas at Austin. She is married to Tom and the mother of four children. Steph Cordes is Vice Chair of the Cordes Foundation, working to advance the Foundation’s ethical fashion and sustainable supply chain initiatives. Prior to joining the Foundation, Steph held positions at Conde Nast and luxury fashion brands Alberta Ferretti and Maiyet. Passionate about the intersection of fashion and philanthropy, she serves on the board of directors for Indego Africa, a non-profit dedicated to lifting artisan women and their families out of poverty, and advisory boards of Soko, a Kenyan-based ethical jewelry brand, and Remake, an advocacy group committed to building a conscious fashion movement. As an active member of Nexus, Steph co-chairs the Nexus Ethical Fashion Lab and serves on the Nexus Impact Investing Steering Committee. She is a Milken Institute Young Leader, StartingBloc Fellow and Hive Global Leader. As advisor to Remake, Steph brings her passion for empowering women globally, preserving rich artisan traditions and building a conscious fashion industry. Lauren (@Lauren_Hannah) drives the content and social media strategy at Remake. She’s focused on developing the voice of the Remake brand and bring the stories of maker-shopper relationships to the forefront of the conversation in a shareable and social way. 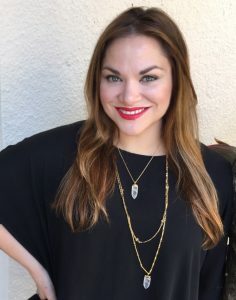 Lauren is a digital and social marketing authority having worked with many Fortune 500 brands (Levi’s, Safeway, ABC Family) to help integrate digital and social media into their overarching marketing strategy. She graduated from the University of Colorado School of Journalism and Mass Communication where she was Editor in Chief of the CU Independent. The transformation from print to digital during her tenure inspired her to reach beyond what was well-known in the journalism industry and experiment with social media where her passion developed. Rina leads the design strategy and visual identity at Remake. She is continuously exploring new ways to communicate the connection between the shopper and the hidden world where our fashion is created. Rina has been a product and design lead for multiple web application companies, focusing on transparency and social causes. She led the design team at Castlight Health, a company with a mission to bring transparency to healthcare. She also partnered with Rootstrikers on a series of visual information pieces to expose issues of money in politics. At BSR, she collaborated with major automotive manufacturers (Ford, General Motors, Toyota, Honda, and Chrysler) to improve their supply chain working conditions. Rina earned her MBA and MS in Natural Resources and Environment from the Erb Institute for Global Sustainable Enterprise at the University of Michigan. She has a BAS from Stanford University in Product Design and Japanese Studies. Mariam advises Remake on content and experience design strategy. She’s focused on usability and the delivery of content for the Remake brand. As a product and experience design leader, she has has designed web, mobile and custom software solutions that are led with empathy and a user centric approach. She has successfully co-founded a company (Doughbies) and has worked with many leading brands (Genentech, Dell, Disney). She also works independently with non-profits and start-ups to provide product strategy and creative direction. Sandra advises Remake on product selection for their e-commerce platform and brokers key industry relationships that advance the Remake movement. As Head of Merchandising and Product Development at Journelle, Sandra overseas the selection and management of third party product as well as Journelle’s private label. With over 10 years in the luxury sector, Sandra has developed her expertise in retail alongside top designers, artisans and key retailers including Christian Louboutin, Henri Bendel, INTERMIX®, Harvey Nichols and Vogue. She brings this knowledge to the Remake team to champion human rights and environmental conservation.